One of the most intense scenarios. Canadians tried a full advance (trying to get the most from numerical superiority and some good "no-manìs-land" rolls). 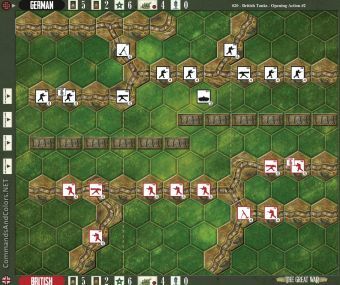 Germans had some poor cards and advanced with second line units to reinforce front line trenches. 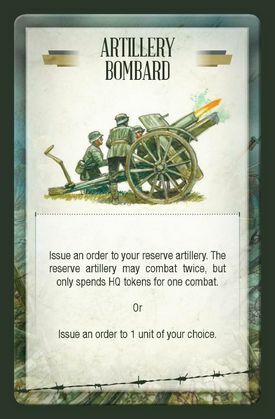 Canadians draw some great Artillery Bombard cards in conjunction with Box Barrage. Reserve Artillery value of 5 and some good rolls made the trick on Canadians left side, wiping out almost 4 units. 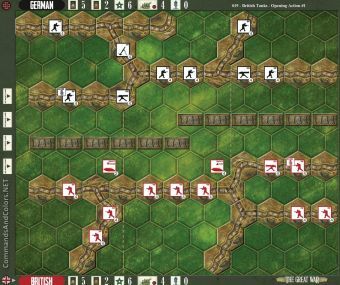 The other 2 VP came from both the advance on German Front Line and killing a lone units in center section. 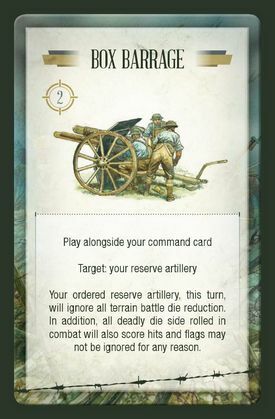 Definitely the artillery played an heavy role in this game... that has been really fast! This is the shot of the final turn! Played this one again yesterday. Canadians Won 6-5 with 2 VP from enemy front line and breakthrough rules.